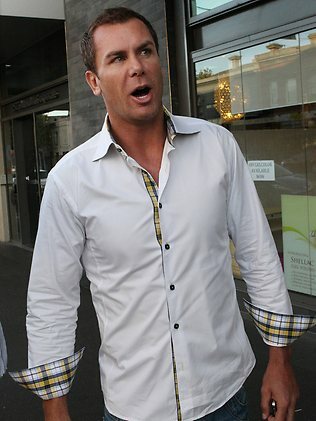 Austrailan famous fooballer legend wayne carey denies possesing of drugs before he moved to jail. Wayne Carey (born 27 May 1971) is a former Australian rules footballer who played with the North Melbourne and Adelaide Football Clubs in the Australian Football League (AFL). Wayne Carey has denied taking drugs following reports that traces of cocaine were detected on the former AFL star as he tried to visit inmates at Barwon Prison. The Herald Sun says cocaine traces were detected on Carey as he went through a routine scanning test for drugs at the maximum security prison on Wednesday. Carey was told he could go into the jail to talk to the inmates if he submitted to a strip search, which he declined. Carey told radio station Triple M that he had been told that the drug testing machine may have been faulty and that he had co-operated with authorities. “The lady herself that actually went through said that she had tested positive twice on the machine,” he said. Carey said he was “shattered” by the story. “It’s a shame, the day that I’m meant to be taking my daughter to school for the first time and this happens,” he told Channel Seven. Carey said that he been visiting the prison for a year to talk to inmates. “It’s been therapeutic for me,” he said. Corrections sources said the scanners did not necessarily indicate someone was carrying drugs. But they did show the person had come in contact with a drug, either inadvertently or intentionally. Carey has admitted that he did have a cocaine and alcohol problem after his football career ended.